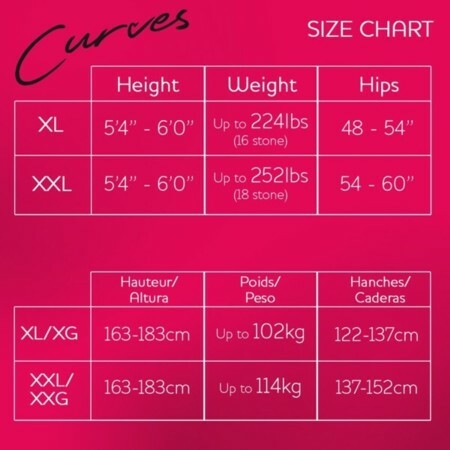 CURVES tights is designed for ladies with more, a specialist range to fit up to 60" (152cm)hips. These beautiful sheer tights will complete any outfit. A product that you can wear all day long and into the evening. XXL in cludes a back panel fro both fit and comfort.